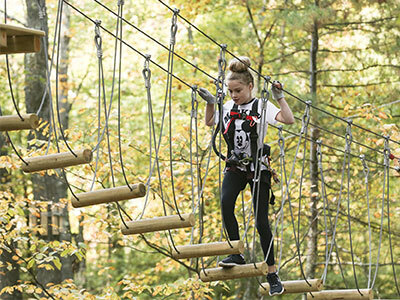 Join the TreeTop Tribe with TreeTop Adventures’ unlimited individual climbing pass! FREE TreeTop "Am-Badass-ador" or "Ambassador T-shirt"
* Climb any time we are open for general admission and special events open to the public! You may climb weekly or even daily! ** You will be able to bypass the safety briefing after you have received 3 safety briefings and demonstrated your proficiency by delivering the safety briefing to members of our staff. Membership is good for 12 months from date of purchase. Check the Hours page here for more specific open days and hours. © 2019 TreeTop Adventures. All Rights Reserved.